I have been thinking of you since Thanksgiving. As Christmas gets closer and closer, I have been praying for your heart. This time of year is hard for you, I know. I was a single mom for almost five years. My sister was for seven. And my mother has been a single mom for almost the entirety of her four children's lives. The holidays were by far the most difficult times for me, as a single mom. I can still feel the intense sadness, mixed with grief and fear, alone at the Christmas Eve service that first year. A custody agreement always includes who has the kids when on every holiday. This year, it was my turn to celebrate without any kiddos lighting candles at the service, waking me up the next morning, looking for their stockings, eating Christmas tree shaped pancakes, and playing with new toys . Or the following year, when my boys were with me. It felt like we were surrounded by all the dads carrying kids on their shoulders at the mall, videotaping the first grade holiday concert, dragging Christmas trees out of the lot, standing in line for Santa pictures while their wives shopped for gifts. I remember exactly how it felt. It felt lonely. It felt different. It felt somehow less than. The most difficult part about being a single mom for me, was the intense pressure of responsibility. Every single day, it was all on me -- providing, nurturing, caring for, teaching, disciplining -- it felt like there was no safe place to just be. Then add all the holiday stuff: the shopping, the gift wrapping, remembering the advent calendar, getting the tree, hanging up the decorations. 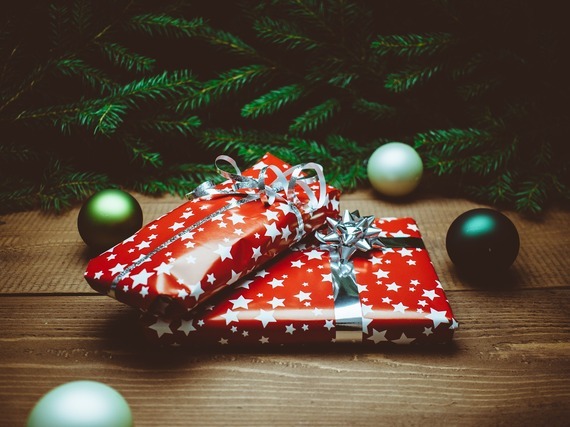 I wanted my boys to have a "normal Christmas." And every year, I was completely overwhelmed. 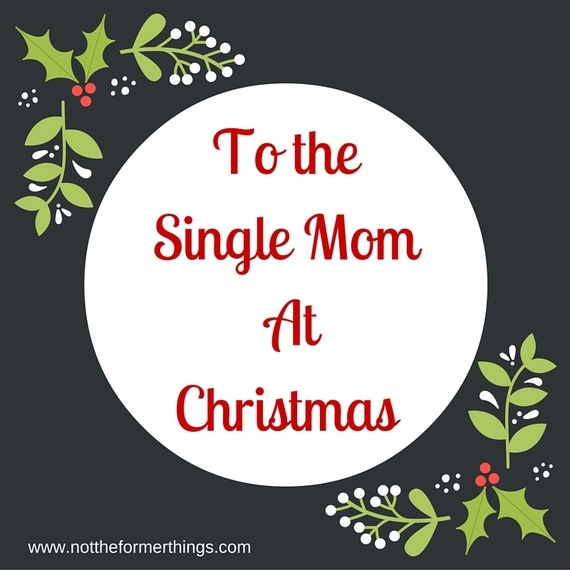 Being a single mom can be crushing, especially this time of year. So as we get closer to Christmas, I want to gently, lovingly say: You are not alone. God has you in this. He is the best Father there is -- for you sweet momma, and for you little ones. It's the reason we celebrate this season in the first place. Jesus came for you, for me, for our children. I pray this year, that He would help you feel lighter and so lavishly loved. I pray that no matter how difficult your circumstances may be right now, He would remind you that He doesn't make mistakes. You are exactly where you are supposed to be in God's economy. So are your children. I pray you get some rest, somehow. I pray you get a sweet handmade card or craft from school. I pray the people who love you shower you with attention and help around the house. I pray your children give you an extra hug, sweet snuggles, and plenty of smiles. You are a mother. You are so very special and important and powerful. I am celebrating you this Christmas. There is no one like you in your child's life. You can do this and, by the grace of God, you will do this.